(MoneyWatch) In the twelve days since Greg Smith penned his now-famous take-down of Goldman Sachs in the New York Times, there have been countless opinions on the firm, Smith, and his motives. Even the story has become a story: Why is the mainstream media obsessed with a company that has little direct impact on most Americans? Perhaps because it is often seen as one of the players responsible for the excesses that caused the financial crisis. We have heard little from the alumni of the firm, however, until now. Former Goldman Sachs partner Jacki Zehner is speaking out about Goldman in the aftermath of the NYT op-ed and what she says might surprise you. 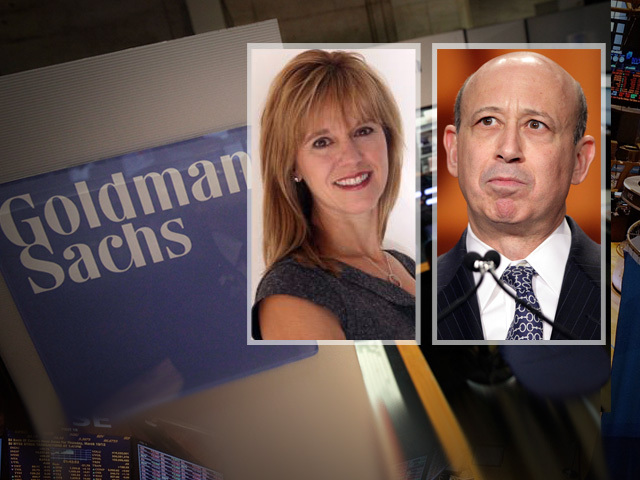 After 14 years at Goldman, Zehner left in 2002 and her husband, also a former Goldman partner, left in 2000. She was the youngest woman and first woman trader to be made partner in 1996, and served on multiple committees for the firm including the firm's partnership committee. Zehner still loves Goldman Sachs, but she reminds me of a proud family member who must acknowledge that a beloved relative is far from perfect. She isn't defensive, and in fact sounds down right balanced when she talks about the firm she loves. She also understands that there is much work that must be done to restore Goldman's image. Does Goldman care about its reputation? Is Goldman filled with rogue tribes? "I think the firm needs to be brave enough to try to change the narrative," says Zehner, even if that means leaving the bunker on West Street and confronting the tough questions from the media. That's not something Goldman has been willing to do at this point, perhaps hoping the storm would blow over. Zehner contends that the lessons of the storm can be constructive, but there have to be wiling participants in the process. She is putting herself out there as someone willing to ask how Goldman Sachs and the entire financial services industry can focus on culture, behavior and about what is rewarded. When asked whether the overall business has changed and/or has the firm changed since her tenure, Jacki responds "I think the answer to both is yes." In Zehner's mind, when an industry, regulators and even politicians contribute to a system that can come to the brink of disaster, something has gone awry. Zehner doesn't defend the actions of Goldman or any other firm, noting that most the toxic assets that were created, sold, and traded led to "disastrous consequences" that have left an indelible "black mark on the whole industry for a long time, as it should be." But Zehner zeroes in on something beyond the market implications: "When you create toxic waste and market it as if it is was not, you are indeed harming your moral fiber." Critics say the moral fiber started to fray after Goldman went public in 1999, and since that time, too many in the industry have morphed into businesspeople that see counter-parties, not clients. But Zehner notes that while that might be true of some, "The vast majority of people do their job in a deeply respectful way...Most don't make a million dollars a year and most are not 'masters of the universe.' Most are just normal, good people who chose a career in finance when that was a really acceptable thing to do." For the sake of those "normal, good people" Zehner hopes that the op-ed wakes up both the management committee and the board of directors of Goldman Sachs. "I hope they ask a heck of a lot of questions and get honest answers...a good culture does not create itself. A good culture happens because you put great beliefs out there and behavior follows...the culture becomes the aggregate of people's attitudes and behaviors. It is about what happens, what is tolerated and what is rewarded." Like a good family member, Jacki Zehner is both a passionate supporter and tough critic of Goldman Sachs. She comes from a place of wanting the best for the organization, and is willing to ask the uncomfortable questions to get beyond the circus and effect change. If I were Goldman CEO Lloyd Blankfein, I would tap Zehner and other former alumni to help bridge the gap between the words of Mr. Smith and the realities that exist within the organization.